Mom rose in the middle of the night. She quietly moved through our little house. The master bedroom, the living room, the kitchen. She didn’t turn on lights. They might wake me or my sister. Go ahead, ask me what time it is. 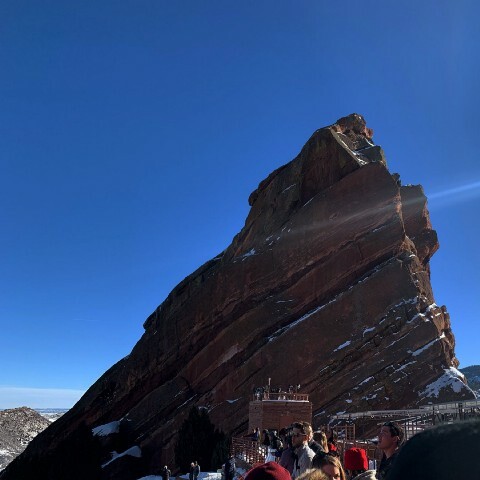 At Red Rocks in Colorado. The sky is the kind of blue that makes you feel like you’ve seen the color for the very first time.